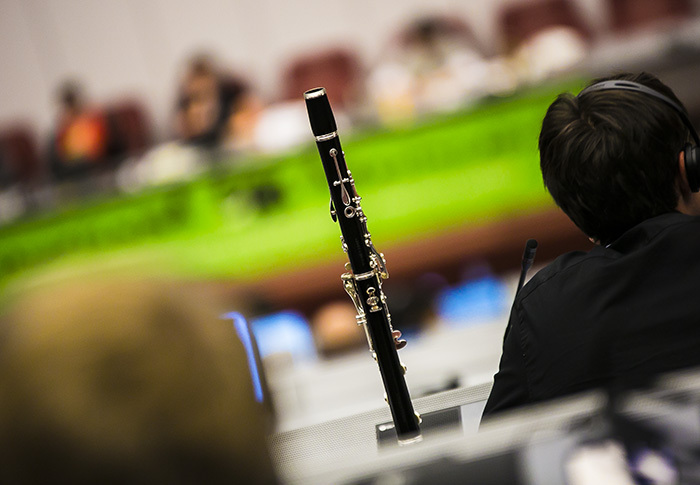 Musicians and instrument-makers participate in discussions on timber species at PC23. 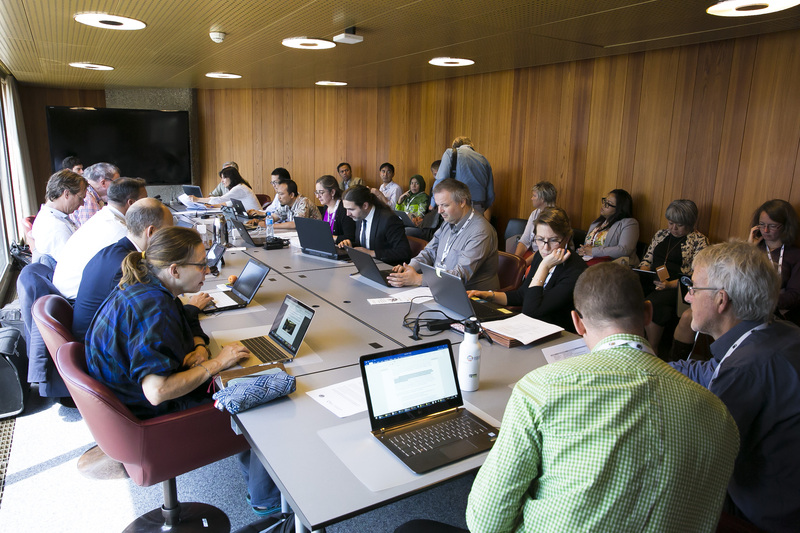 On Wednesday, 26 July, the 23rd meeting of the Plants Committee (PC23) spent the morning in working groups on African tree species, annotations for Appendix-II orchids, and rosewood timber species, and convened in plenary in the afternoon. Noting that orchids are a “uniquely heterogeneous family,” the working group on annotations for Appendix-II orchids, chaired by alternate Europe representative Ursula Moser (Switzerland), discussed the complexity of value chains that involve orchids and the importance and challenge of engaging industry stakeholders in this work. The working group on African tree species, chaired by Africa representative Aurélie Flore Koumba Pambo (Gabon), discussed how to facilitate the exchange of experiences among range states, importing countries, and others in the sustainable use and management of CITES-listed African tree species. 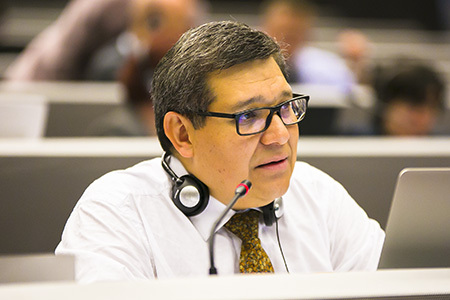 In the working group on rosewood timber species, co-chaired by alternate North America representative Isabel Camarena Osorno (Mexico) and Europe representative Paulo Carmo (Portugal), participants discussed, among other things, issues related to the lack of information to support the formulation of non-detriment findings for rosewood species. 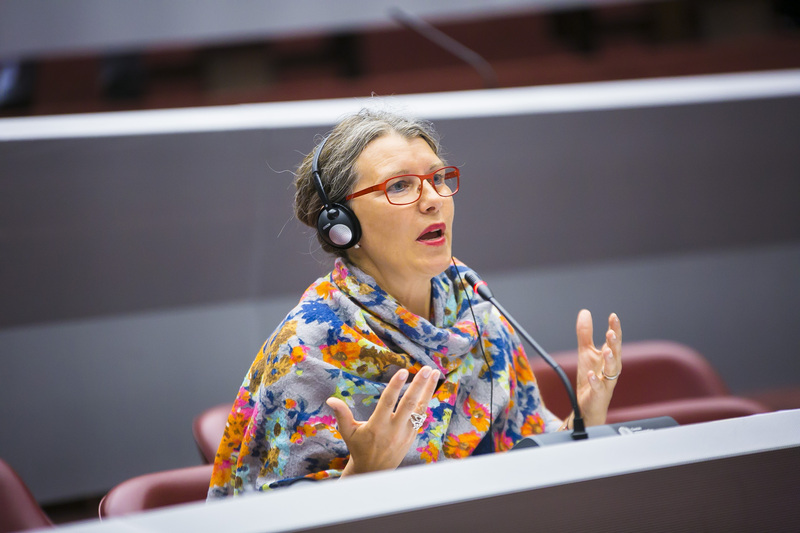 In the afternoon plenary, PC Chair Adrienne Sinclair praised participants for their efforts on the “complex” issues addressed in working groups. Participants considered documents and agenda items on: agarwood-producing taxa (Aquilaria spp. and Gyrinops spp. 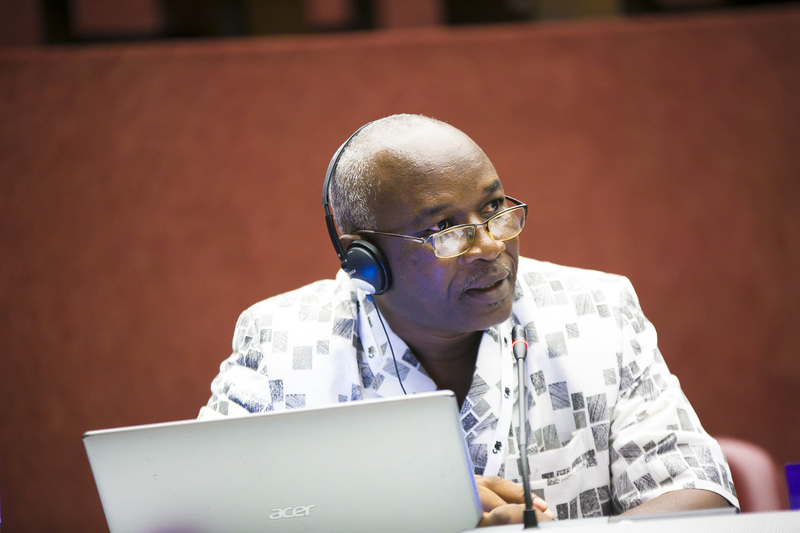 ); African cherry (Prunus africana); the outcomes of the international workshop on CITES-listed tree species; and possible amendments to Resolution Conf. 10.13 (Rev. 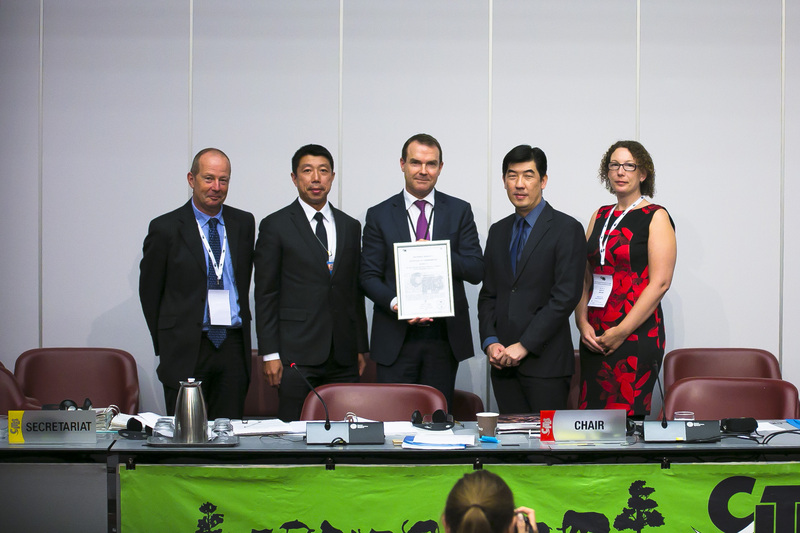 CoP15) on implementation of the Convention for timber species. They also noted regional reports. 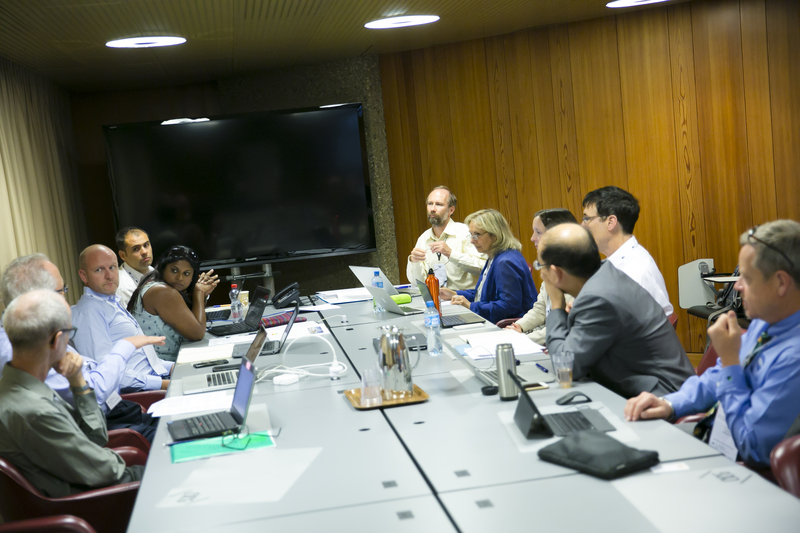 The 23rd meeting of the Plants Committee (PC23) met in parallel working groups throughout the day on Tuesday, 25 July. In the morning, working groups met on the review of significant trade (RST), timber identification, periodic review of the appendices, and East African sandalwood (Osyris lanceolata). A working group on nomenclature met during lunch. In the afternoon, working groups met on the definition of the term “artificially propagated” and on rosewood timber species. On RST, chaired by PC Nomenclature Specialist Noel McGough, the working group selected species-country combinations for review. 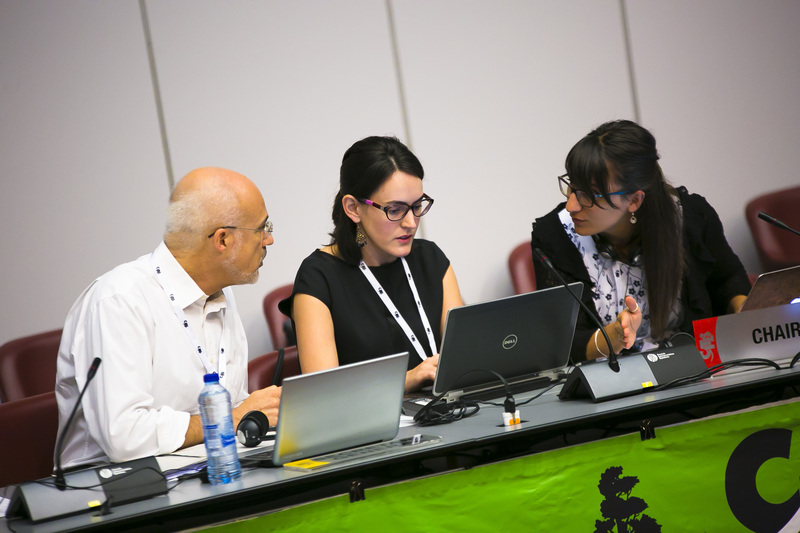 The working group on timber identification focused on harmonizing and connecting reference collections and was chaired by Vera Teresinha Rauber Coradin (Brazil), representative for Central and South America and the Caribbean. 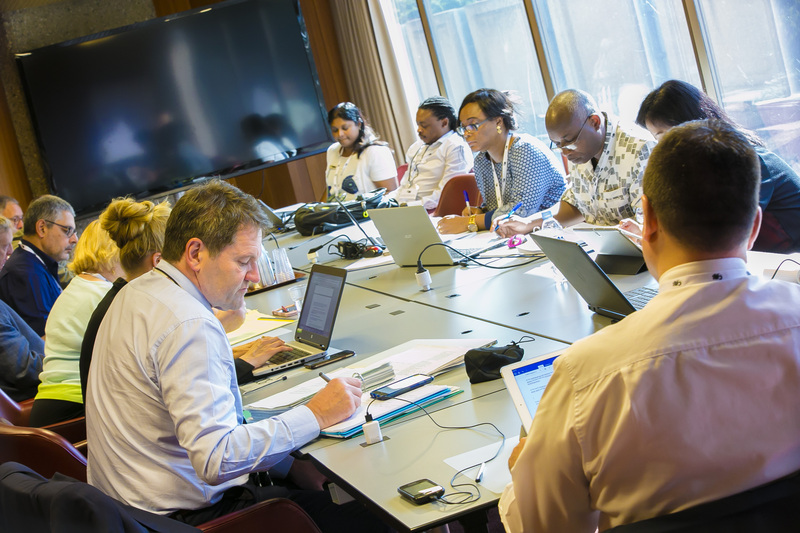 The periodic review group, chaired by North America representative Isabel Camarena Osorno (Mexico), decided on plant species to recommend for periodic review and discussed ways to finance and facilitate periodic reviews. 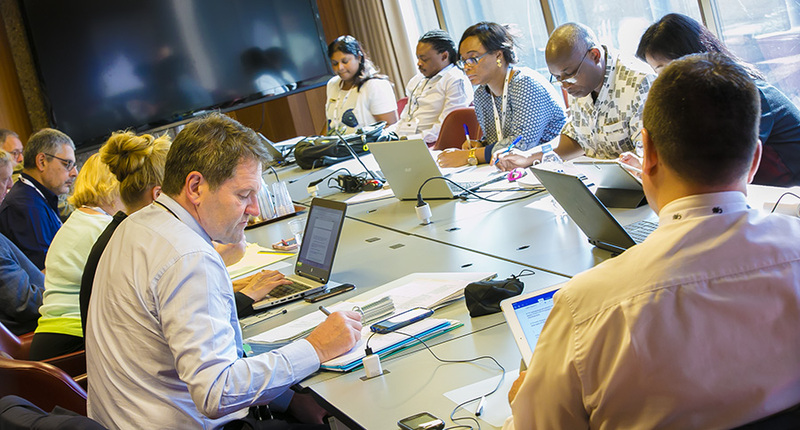 The working group on East African sandalwood, chaired by Africa representative Aurélie Flore Koumba Pambo (Gabon), met to draft a “realistic” workplan for assessing, among other things, the impact of legal and illegal trade on the conservation status of East African sandalwood. In the working group on the definition of the term “artificially propagated,” chaired by Ocean representative Greg Leach (Australia) and Asia alternate representative Joeni Satijo Rahajo (Indonesia), participants considered problems with and potential solutions for different interpretations of terms. 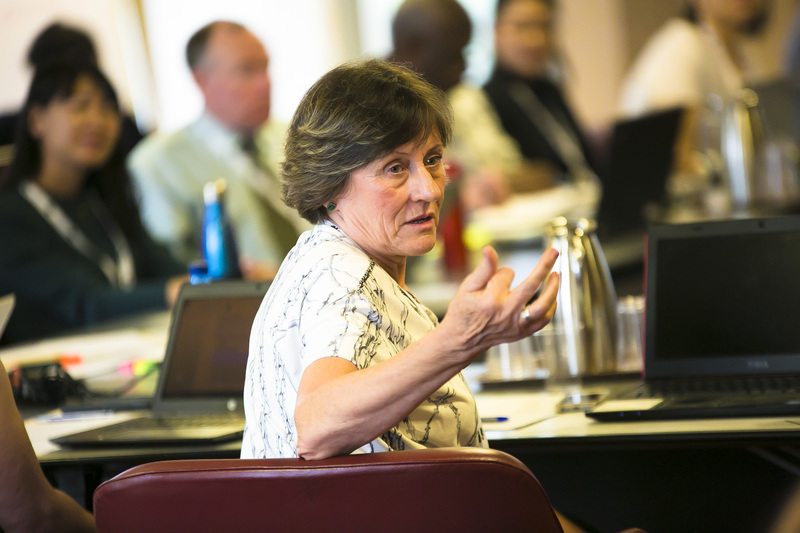 Participants in the working group on rosewood timber species, chaired by PC Chair Adrianne Sinclair, discussed implementation issues for rosewood and the interpretation of annotation 15 on "non-commercial shipments." 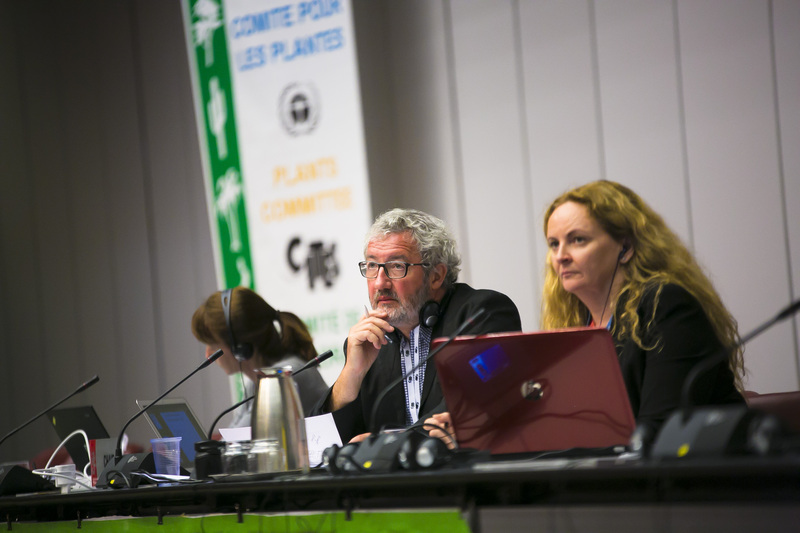 On Monday, 24 July, PC Chair Adrianne Sinclair re-convened the 23rd meeting of the Plants Committee (PC23). In discussions, among other things, delegates considered questions of the PC mandate, with some divergent views expressed on discussing implementation issues within the scientific body. 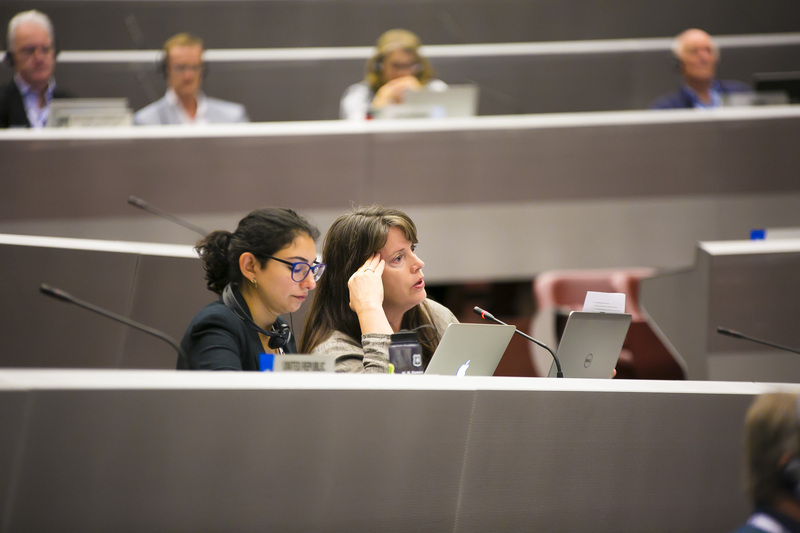 Multiple agenda items raised questions of definitions and interpretation of terms, with most discussions deferred to working groups for more detailed assessment. 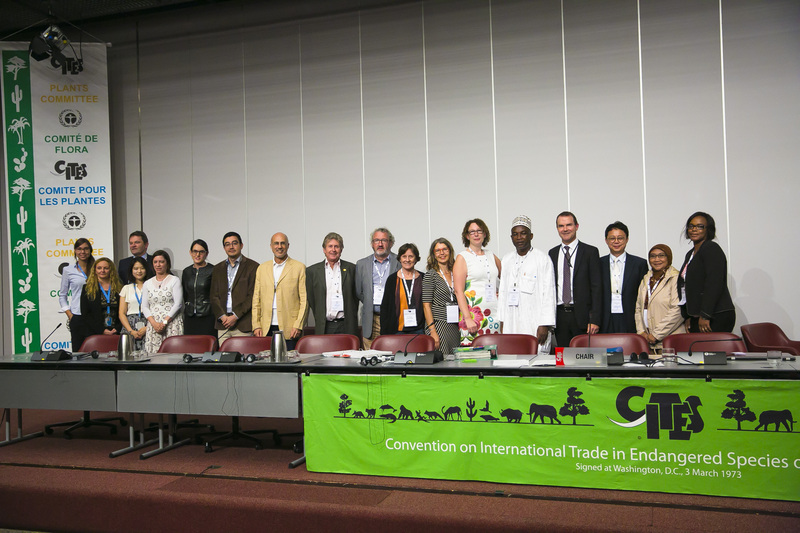 The balance of conservation and trade was highlighted by several participants. 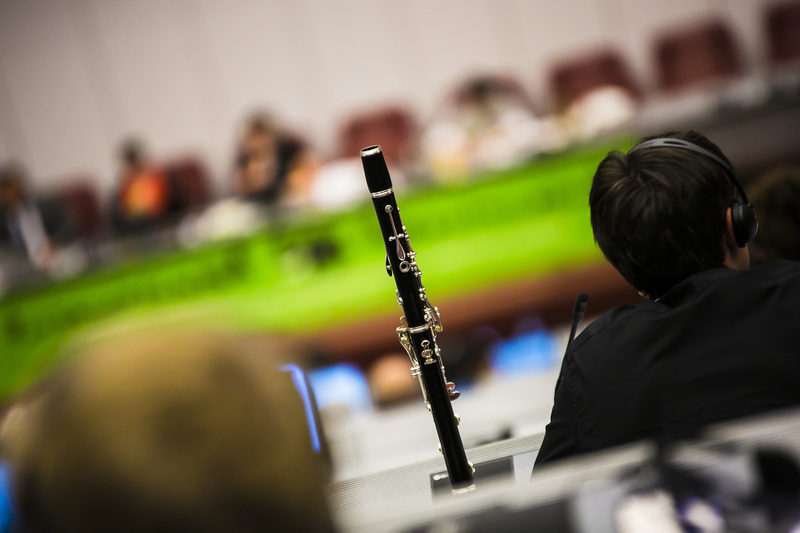 The PC established or re-established working groups for all the issues discussed during the day. 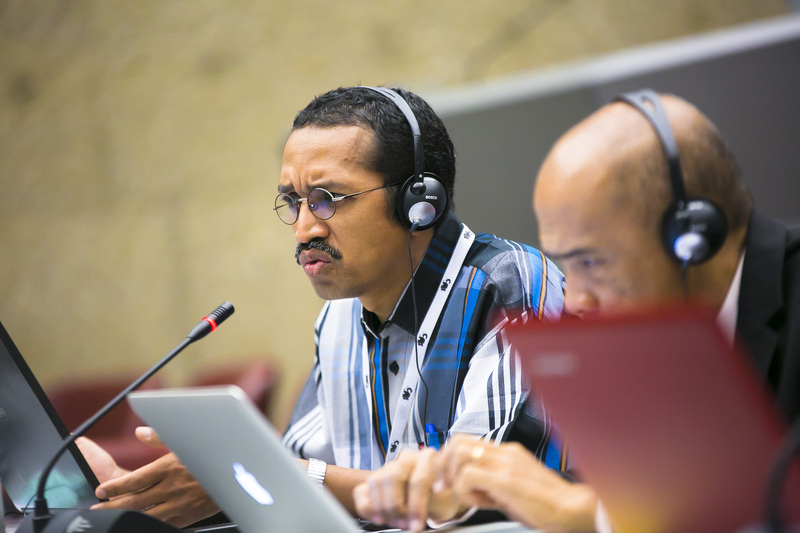 For some, lengthy discussions took place on the scope of work of the groups, with several participants recalling the limited time and resources of the PC. The working group on strategic planning met over lunch, and the remainder of working groups will meet on Tuesday, 25 July or Wednesday, 26 July. 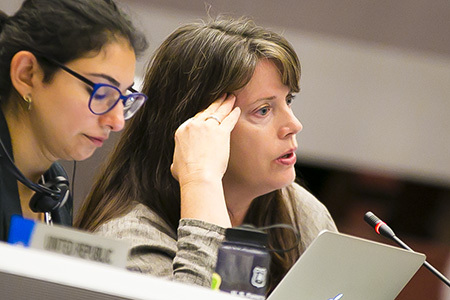 An existing ad hoc working group on annotations, aimed at informing upcoming Standing Committee discussions, will also convene during the meeting. 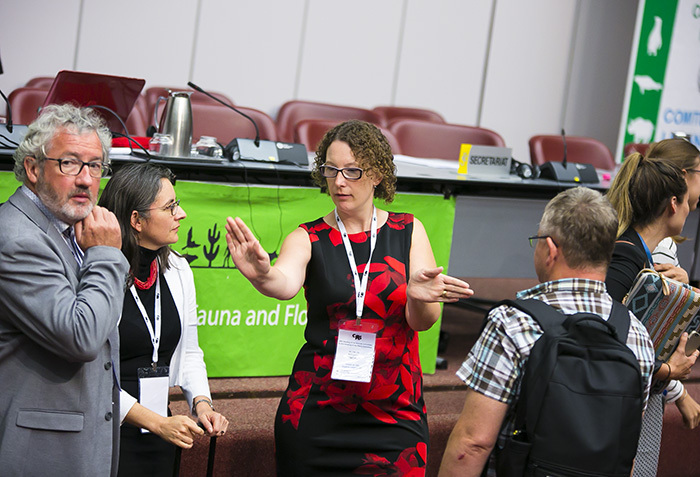 The twenty-ninth meeting of the Animals Committee (AC29) convened in plenary throughout the day on Friday, 21 July, for its final discussions before the joint meeting with the Plants Committee. In the morning, the AC discussed the African wild dog, quotas for leopard hunting trophies, African grey parrots from DRC, and progress in the development of an identification guide for the genus Abronia (Alligator lizards). 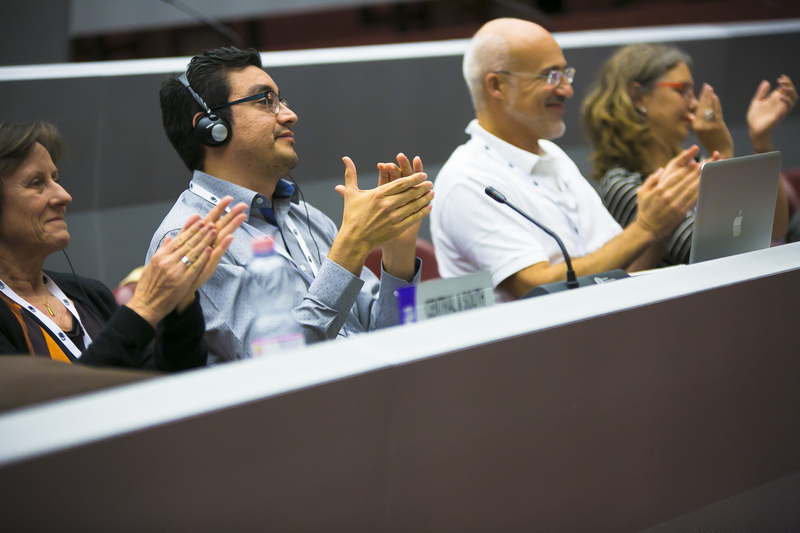 Participants then considered the reports of the working groups, adopting the recommendations from the groups on snakes, nomenclature, sturgeons, and sharks, with various amendments. 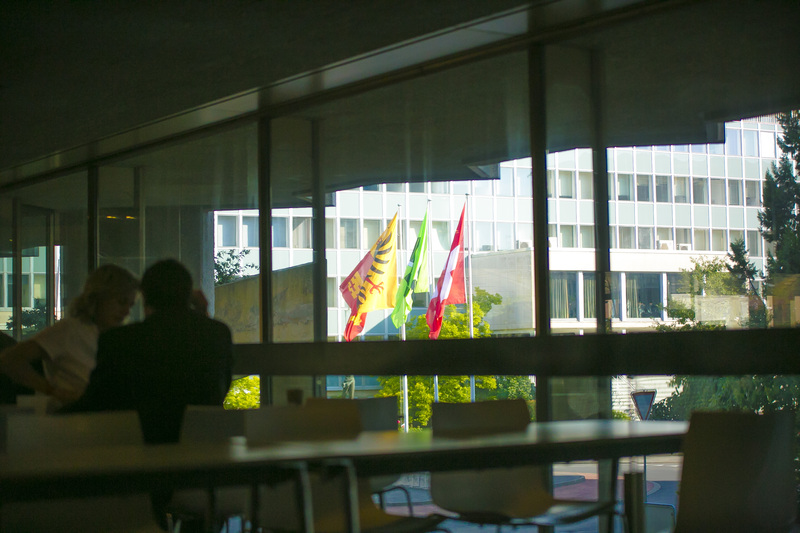 A working group on the definition of the term “appropriate and acceptable destinations” met briefly at lunch to organize its intersessional work. 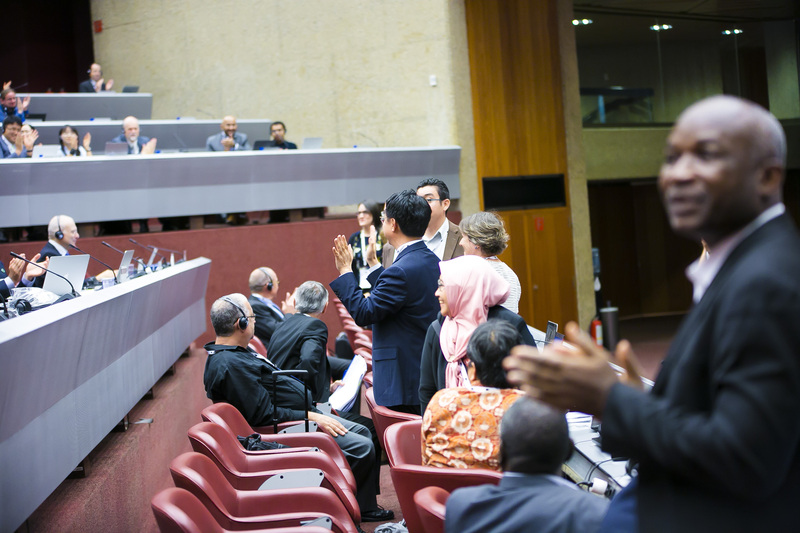 In the afternoon, plenary considered the reports on the Review of Significant Trade, the periodic review, corals, freshwater stingrays, Queen conch, Banggai cardinalfish, and captive breeding. 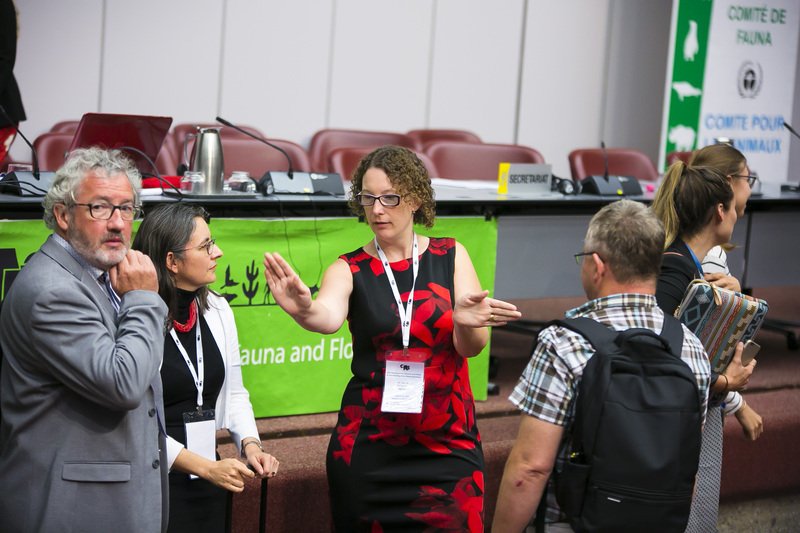 On Thursday, 20 July, the 29th meeting of the Animals Committee met in parallel working groups in the morning and early afternoon, in plenary in the late afternoon, and in a working group and a side event in the evening. Six working groups were held on: captive-bred and ranched specimens (chaired by AC Chair Mathias Lörtscher, Switzerland), periodic review (chaired by Rosemarie Gnam, US/North America), corals (co-chaired by Simon Nemtzov, Israel/Europe, and Giyanto Giyanto, Indonesia/Asia), freshwater stingrays (chaired by Marcel Enzo Calvar Agrelo, Uruguay), Banggai cardinalfish (chaired by Carolina Caceres, Canada/North America), and eels (chaired by Vin Fleming, UK/Europe). Among other things, the working group on captive-bred and ranched specimens developed a list of species-country combinations to be addressed under the new process for review. For the periodic review, participants identified 20 animal taxa to potentially review during the next two intersessional periods (from CoP17 to CoP19). They also explored funding options for, and ideas to facilitate, periodic reviews. On corals, participants discussed terms of reference for intersessional work on corals and analyzed the outcomes of the CITES survey on coral conservation and trade. Freshwater stingray working group members formulated recommendations on developing population trend models for freshwater stingrays. The Banggai cardinalfish working group heard Indonesia’s initial progress report on the conservation of the species, and gave input on the Secretariat’s upcoming study on the impact of international trade. 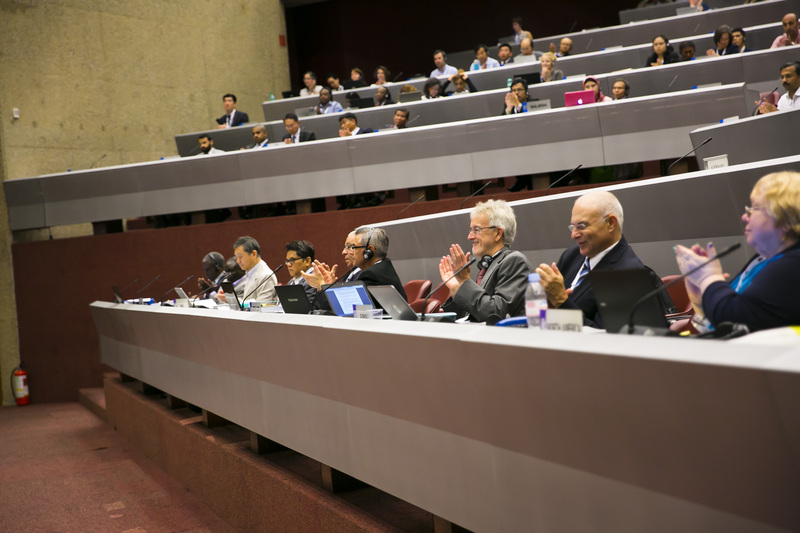 In plenary, discussions were held on eels, the Black sea bottlenose dolphin, tortoises and freshwater turtles, and the African lion. The eel working group met in the evening to discuss future CITES work on eels. 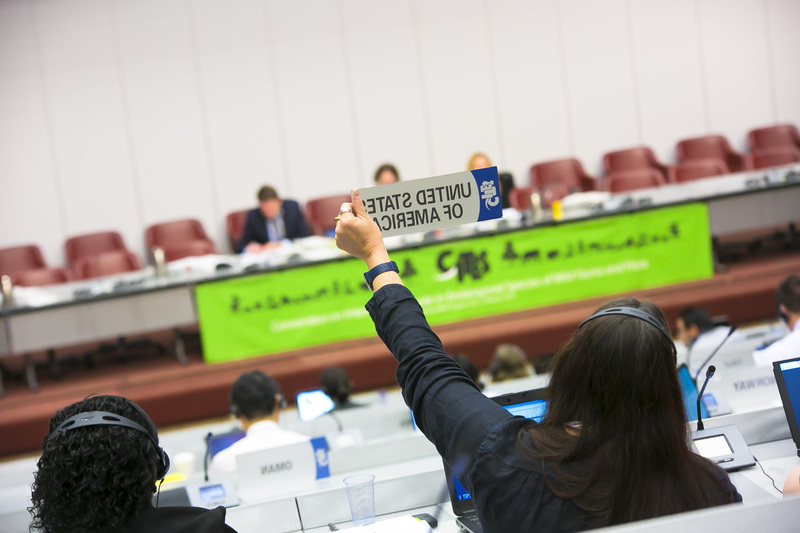 AC29 reconvened on Wednesday, 19 July, meeting in parallel working groups. 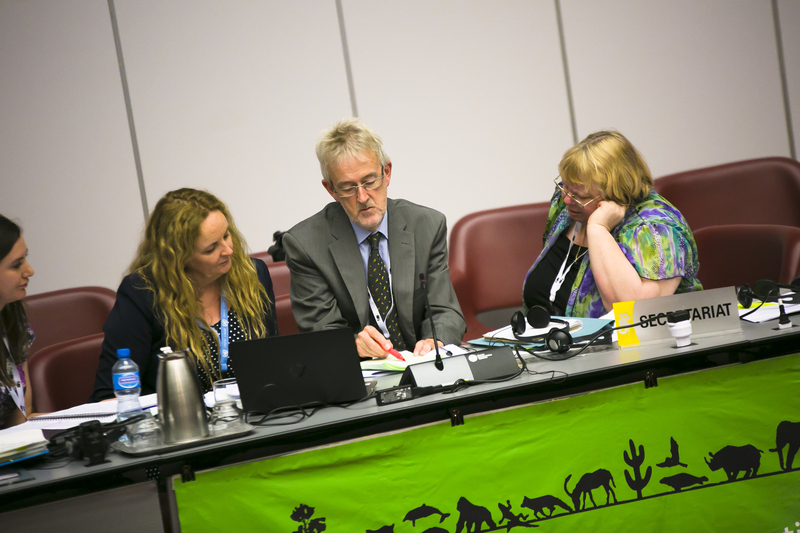 The working group on Review of Significant Trade, chaired by Europe representative Vincent Fleming (UK) and North America representative Rosemarie Gnam (US), met throughout the day, discussing an exhaustive list of species/country recommendations. 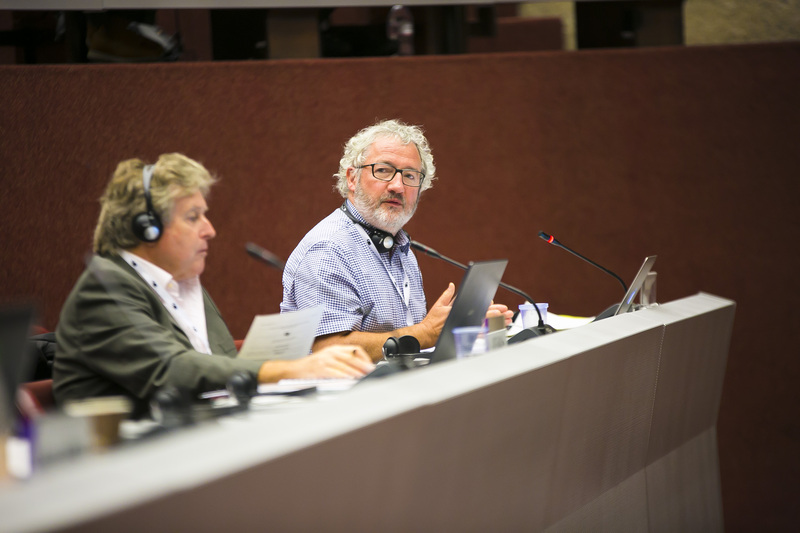 Another all-day working group was held on sharks and rays, chaired by Hugh Robertson (New Zealand), Oceania representative. 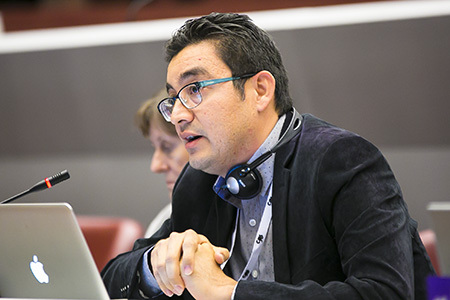 Topics addressed included: genetic tools and traceability measures; non-detriment findings (NDFs) in situations with data deficiencies; and strategies for sharing lessons learned on NDFs. The group developed recommendations for the AC. The working group on sturgeons, chaired by Carolina Caceres (Canada), alternate representative for North America, met in the morning. Participants debated whether Black Sea sturgeons constitute one or several stocks, and discussed a proposed definition of “country of origin of caviar,” namely: “country in which a registered processing plant harvests roe.” Several participants expressed concerns over the proposed definition, citing cases in which fish are taken from the wild in one country and their roe harvested in another. 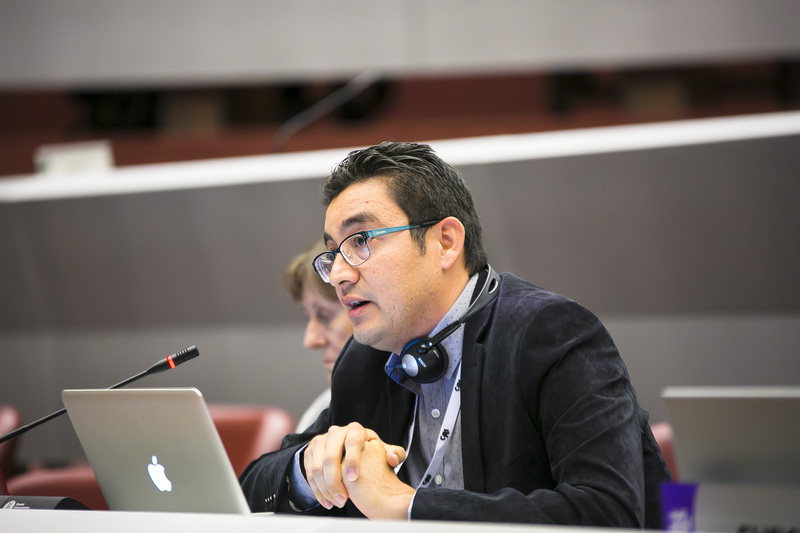 In the afternoon, the working group on snakes, chaired by AC Chair Mathias Lörtscher (Switzerland), reviewed the document on the conservation, sustainable use of, and trade in snakes, including the proposed guidance for CITES Scientific Authorities concerning NDFs for snakes. The group also discussed python traceability standards. 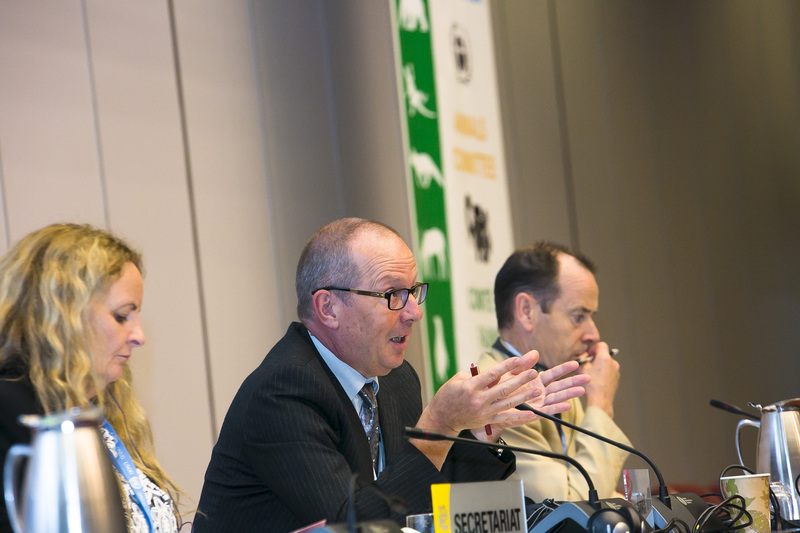 The working group on nomenclature issues, chaired by CITES nomenclature expert Peter Paul van Dijk, also met in the afternoon. Participants addressed implications of new nomenclature insights with regard to African and Asian lions, sea horses, and sheep. 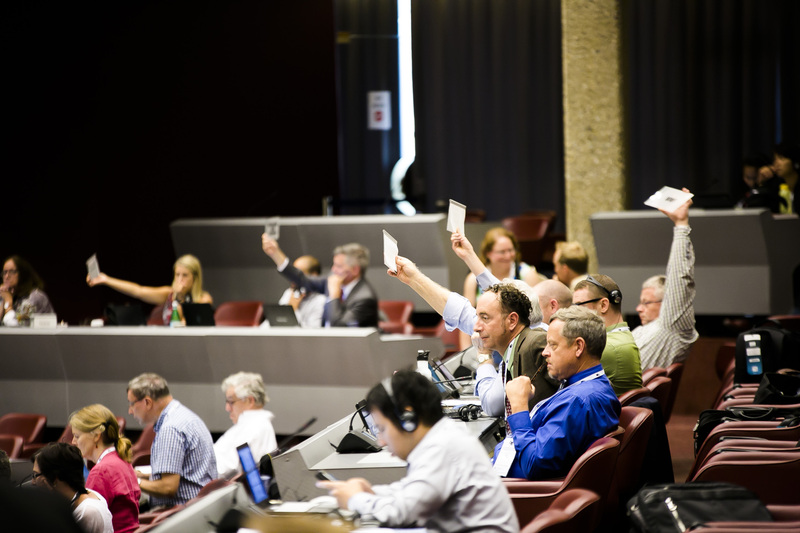 The twenty-ninth meeting of the Animals Committee (AC29) of the Convention on International Trade in Endangered Species of Wild Fauna and Flora (CITES) opened on Tuesday, 18 July in Geneva, Switzerland. 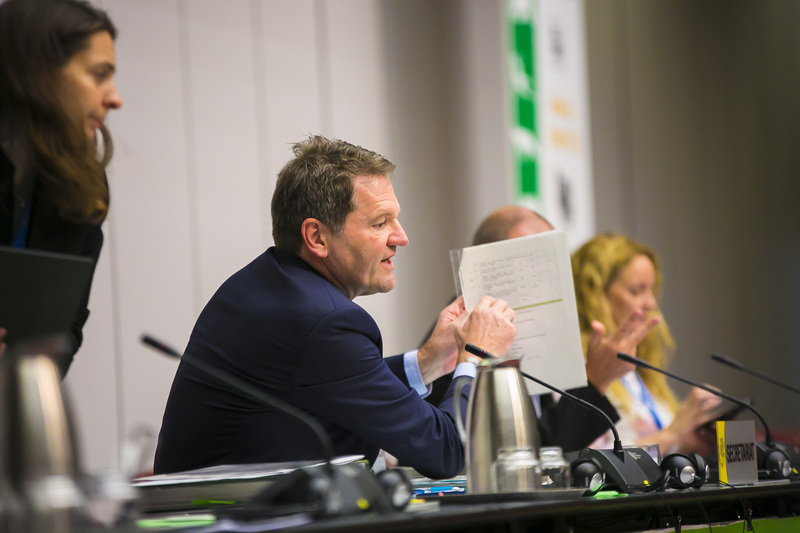 In the morning, CITES Secretary-General John Scanlon welcomed participants and underlined the AC’s “extraordinary and critical work” in bringing science to the decision-making and implementation processes of CITES. Hugh Robertson, AC representative for Oceania, on behalf of Fiji, presented Secretary-General John Scanlon with a tabua, a ceremonial sperm whale tooth with significant cultural value, in recognition of the repatriation to Fiji of 146 tabua confiscated at the New Zealand border. 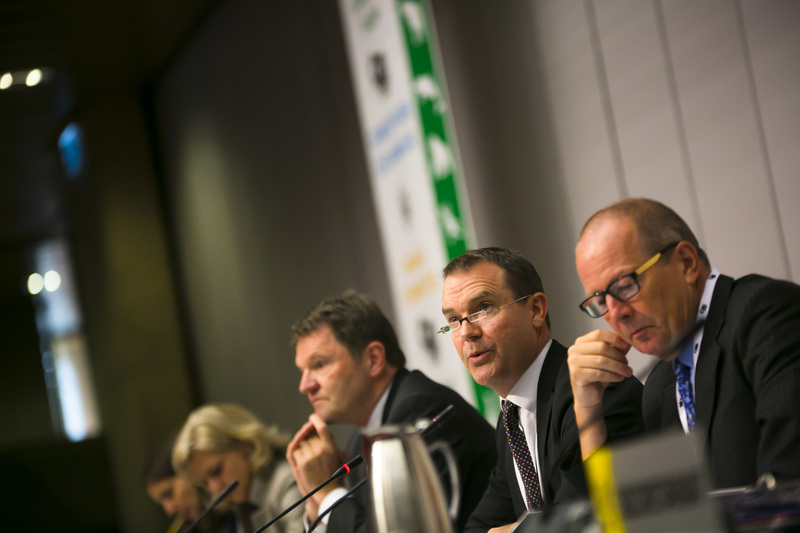 The AC welcomed Mathias Lörtscher (Switzerland) as its new Chair. 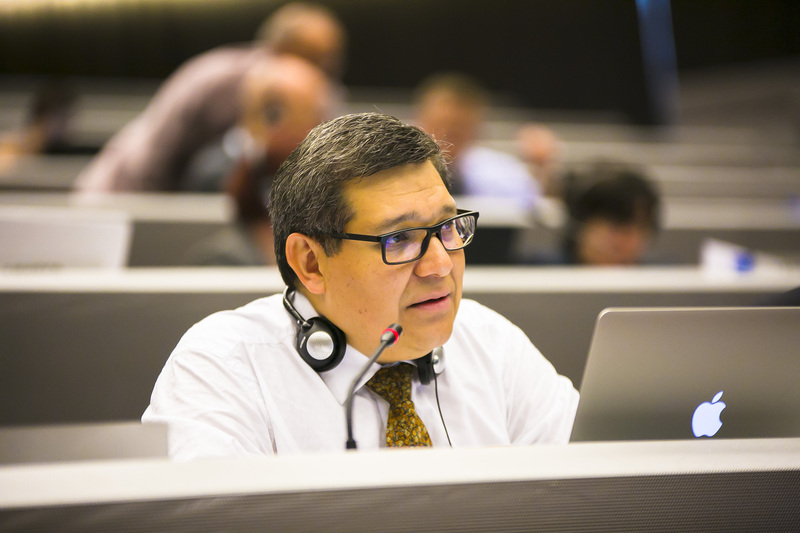 It addressed, among other issues: the Review of Significant Trade (RST); periodic review of the Appendices; captive-bred and ranched specimens; nomenclature; and species-specific matters. 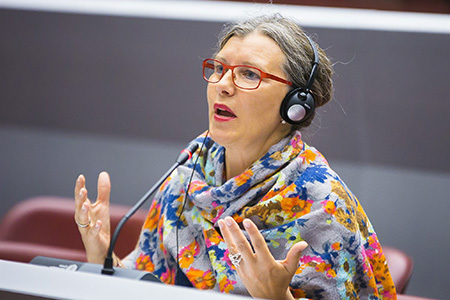 Chair Lörtscher established several working groups and a drafting group, which will meet on Wednesday and Thursday.